Many people in the SEO industry would verify that Search Engine Optimization is complicated. What you may be doing right today might be something that could get you penalized by Google tomorrow. SEO gets you quick results. There is no such thing as instant results in SEO. Nothing with advertising has quick results, since it is an ever-growing process. Get your site to Page 1 of the SERPs and your SEO work is done. An SEO’s work is never done. Attaining a rank on the Search Engine Results Pages and just resting on your fame is a huge mistake. You need to continuously take steps to achieve rankings better than that of your competitors. This is the same with any marketing strategy. The older your domain, the better. Just because your site is older and has seen a few more clicks doesn’t mean it is better. It has been proven that newer and smaller websites with better content have outranked older ones and gotten quality relevant backlinks. Don’t ignore the high quality keywords for your website. No Google update excludes the importance of keywords. You should always stay up to date about keywords that are being searched around your brand and site. Guest posting remains one of the most effective ways to build links and relationships. They can still drive users to your site. It is a great way to connect with new readers and get your name out there. The best links are from .edu and .gov sites. It is true that government and educational sites usually have higher authority. There are also many .com sites and other high profile domains that are not lazy when it comes to authority. A dedicated IP helps boost your Google rank. Your Google rankings are in no way affected by having a dedicated IP or not, according to the search engine itself. Linking out helps you rank. Most websites have links that lead to other sites, but what really counts is quality backlinks. You can only do SEO when you finish building your site. Your SEO efforts for your website can begin the very moment you create it. And when it goes live, Google will start crawling it, finished or unfinished. Google crawling is the process by which Googlebot discovers new and updated pages to be added to the Google index. Great content is enough to get high rankings. People can always say how content is important, but even stuff written by an award-winning writer won’t get anywhere without SEO elements like keywords that focus the content and links that build influence. Any inbound link is good for SEO. Inbound links, also known as backlinks, are links on other websites that direct customers and search engines to your website. There are bad links, like the ones from link farms and then there are natural, high-quality links from authority sites. Link farms are a set of web pages created with the sole aim of linking to a target page, in an attempt to improve that page’s search engine ranking. Google’s link algorithm knows the difference between the two. Google will penalize you if they find bad backlinks. You need to update your content constantly to rank. You can post just once a week and still get a great ranking. Some sites can post three articles a day and still be nowhere near the first page. These days, content quality is always more important than quantity. Being relevant and to the point is better than posting random content. Your site doesn’t need a blog. Whatever the industry, there will always be news and innovations. With a blog, you can build a reputation of being an expert in your community. A blog can also help you get relevant text content and backlinks that will help you rank long-term on Google organically. Internal linking has no bearing on SEO. Internal links help users navigate your website. Without these links, users will likely spend very little time on your site, and that will affect your rankings. Your site doesn’t have to be mobile-friendly. Google rewards mobile-responsive sites. Websites that users can easily access on their mobile devices usually rank higher in relevant search results than mobile-unfriendly ones. How can SEO be dead when organic search drives 51+% of the overall traffic to websites all over the world? Quality content is important, but without quality SEO to promote it, its audience will be very limited. SEO is alive and kicking and will remain so for the foreseeable future. 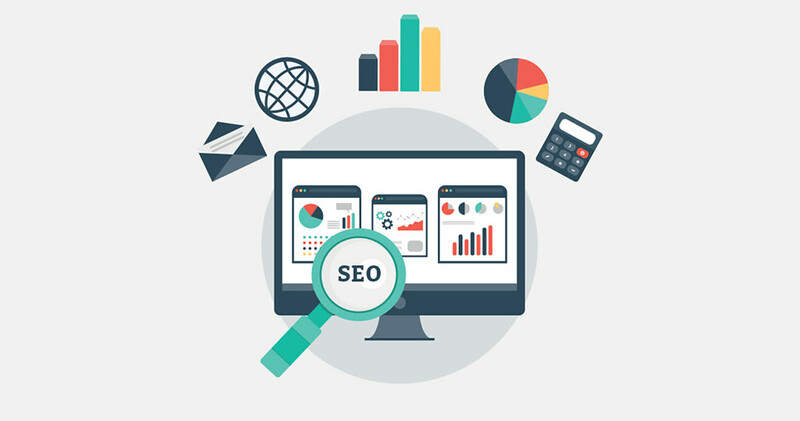 If you would like to find out more about how we can help you to improve your SEO send us an enquiry or give us a call on 044 873 5787.